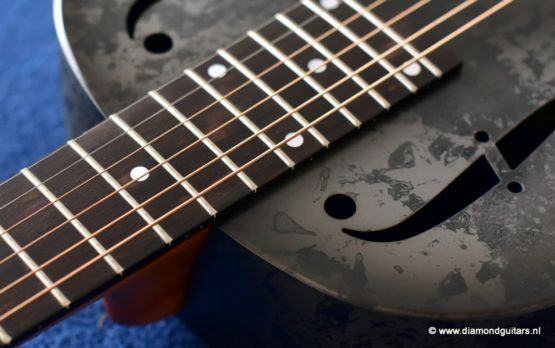 This National NRP Black Rust 12-fret looks like it just came out of the swamp, perfectly suited for those hot southern blues licks. 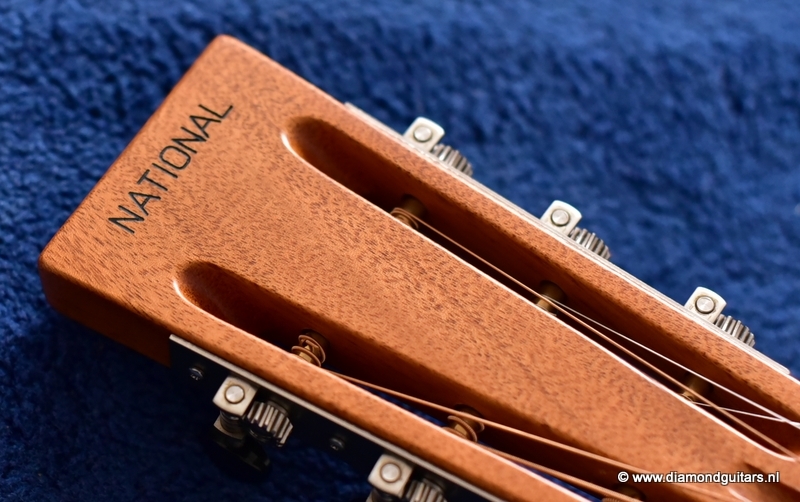 This National features the new color, Black Rust, and each finish is unique. 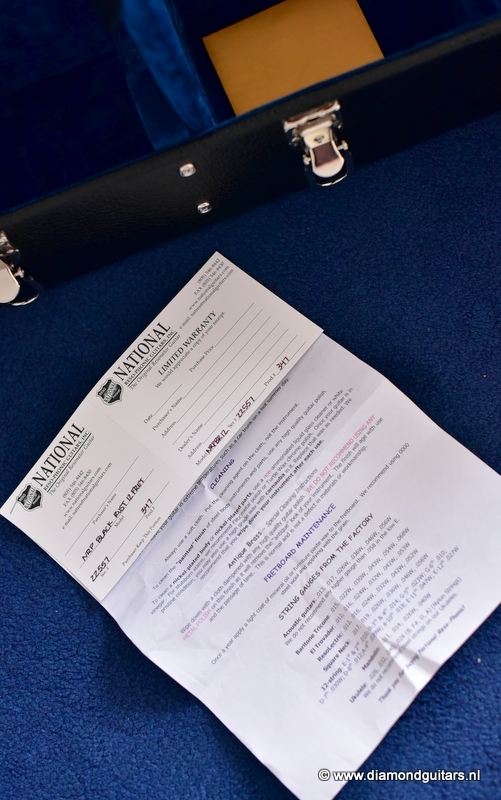 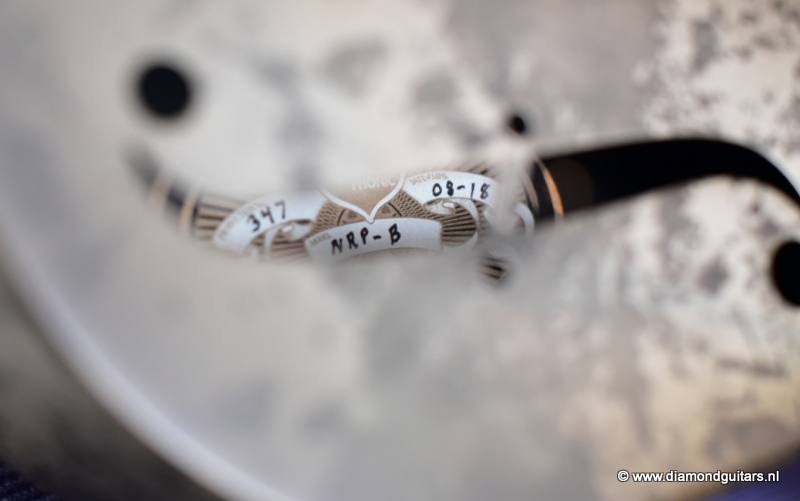 These National NRP 12-fret guitars have been played by many blues legends, but they definitely were not playing one with a finish like this. 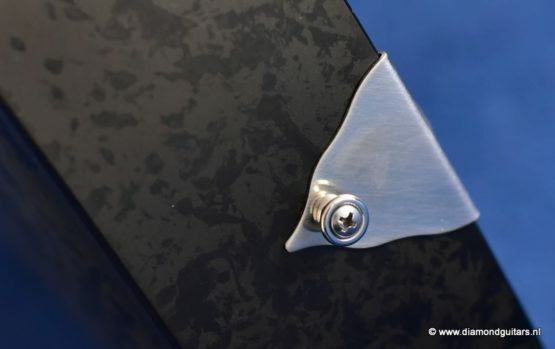 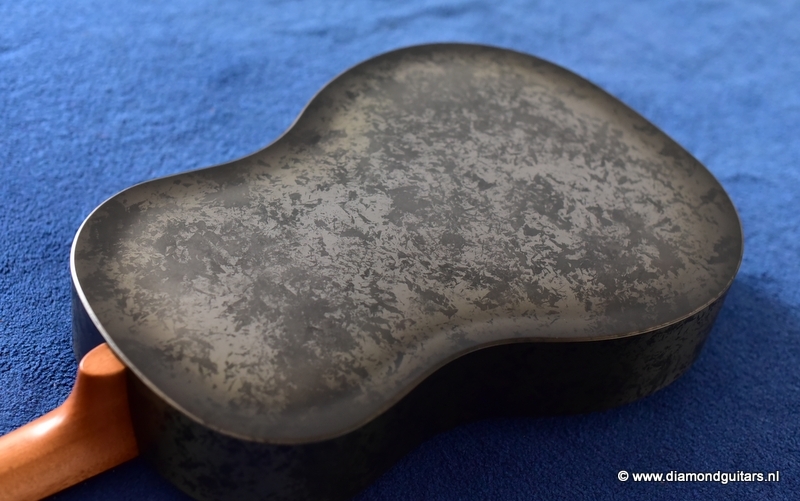 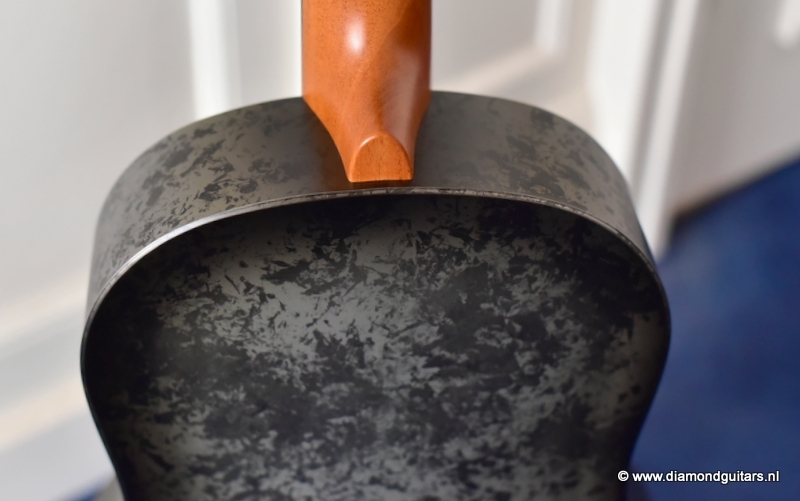 No two of the Black Rust finishes are alike. The best part is, you don’t have to wait 50 years for a vintage finish, you can have one right now! 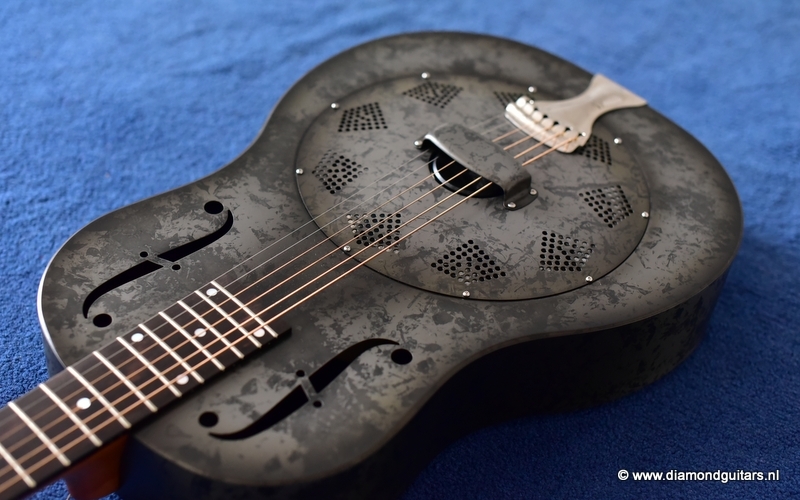 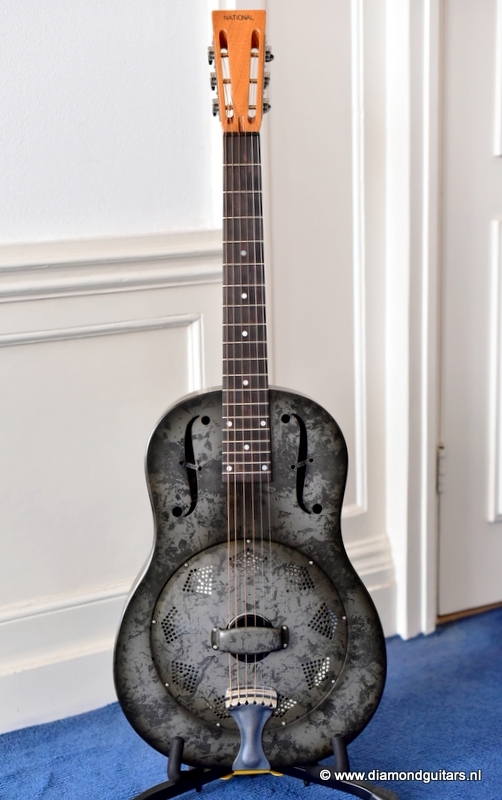 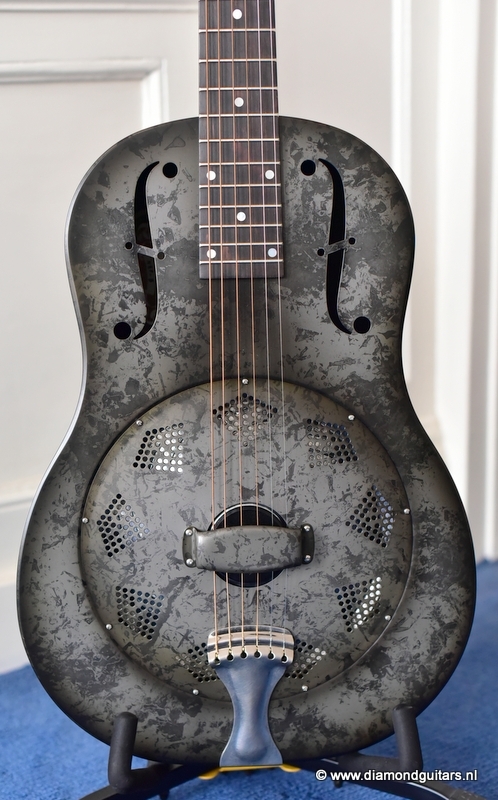 This model is a 12 fret version of the Black Rust series. 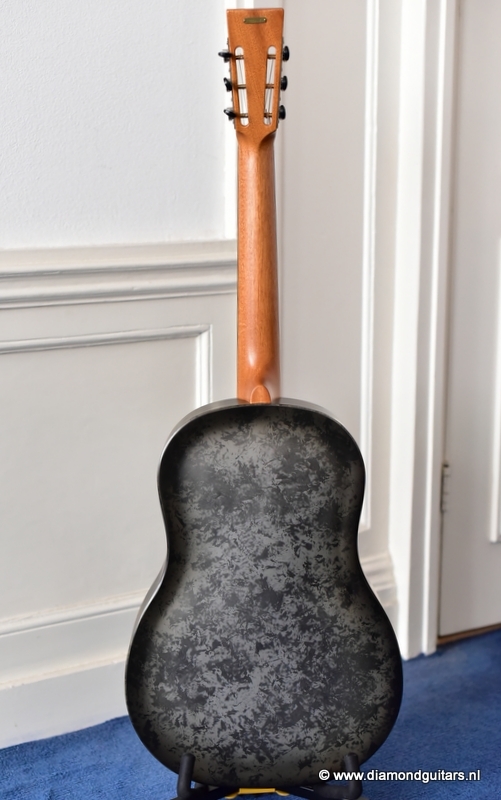 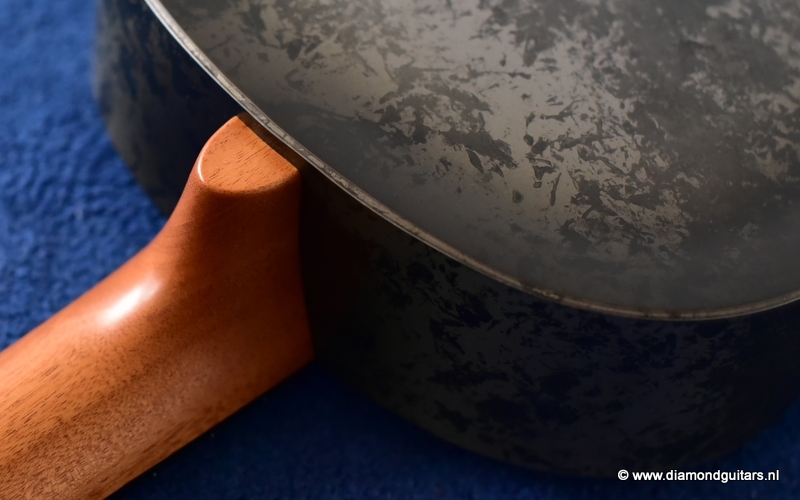 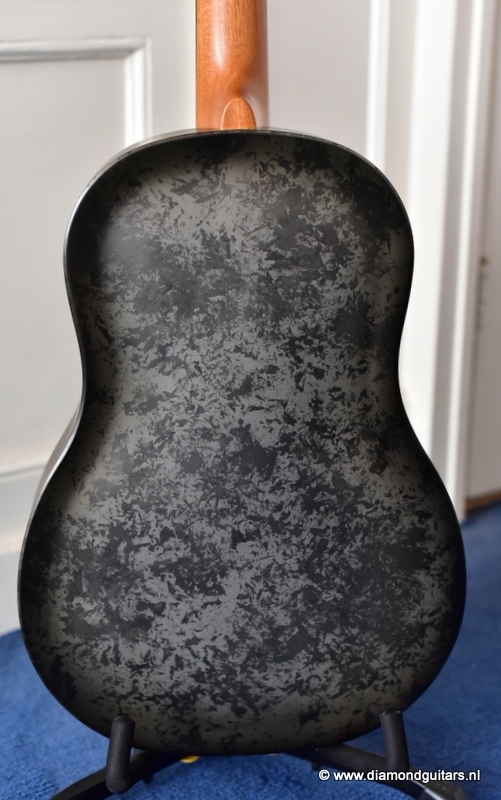 Each Black Rust instrument is finished with a multi-staged hand-textured finish for an individual look and semi-smooth surface profile. 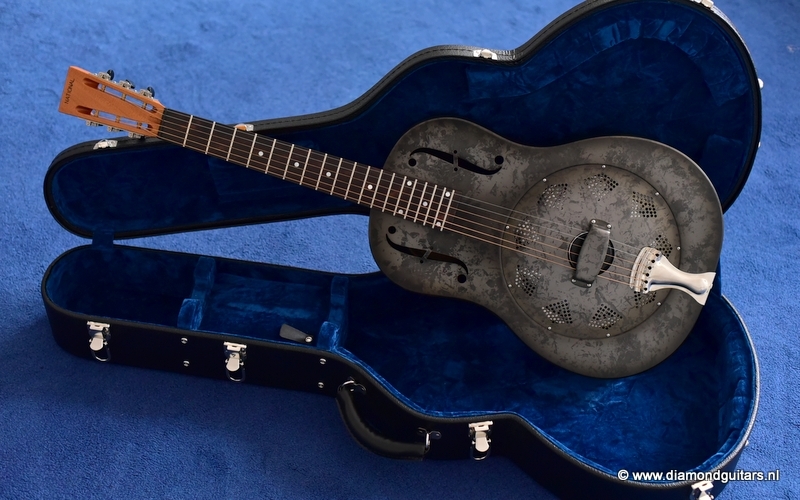 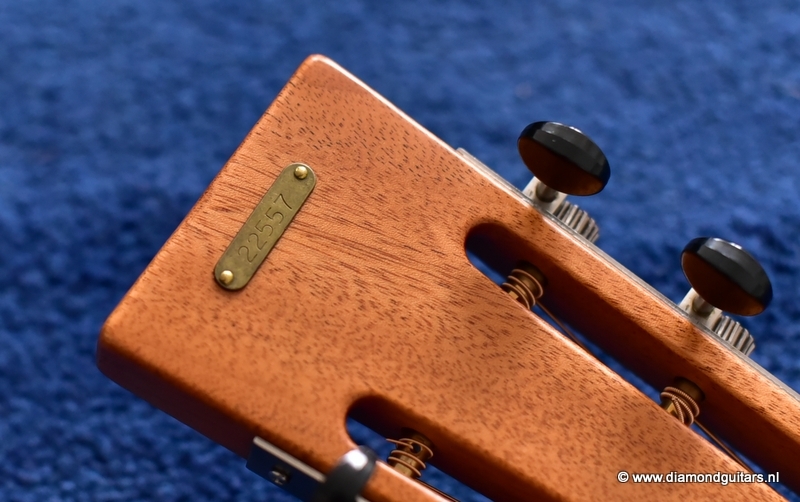 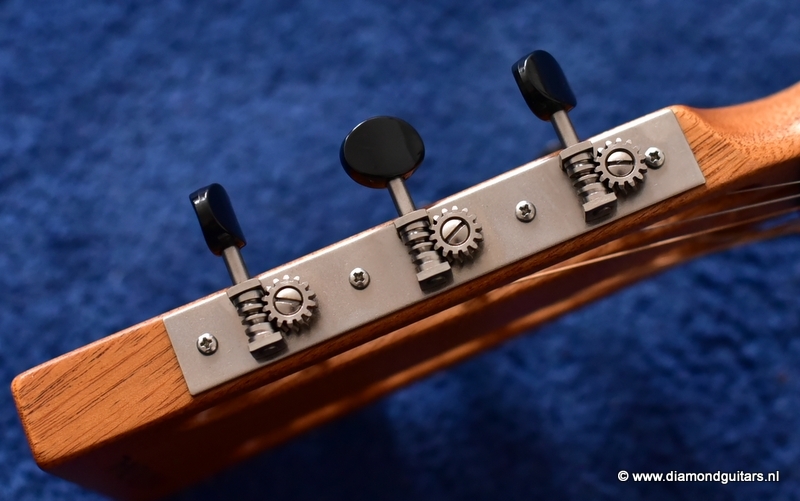 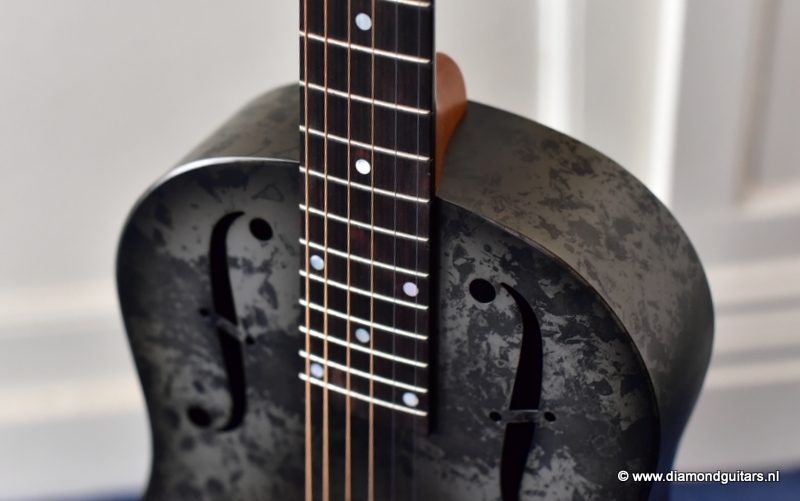 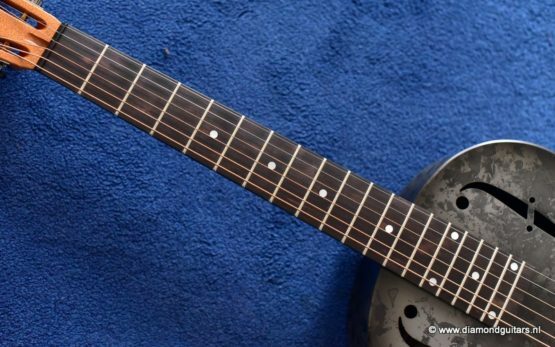 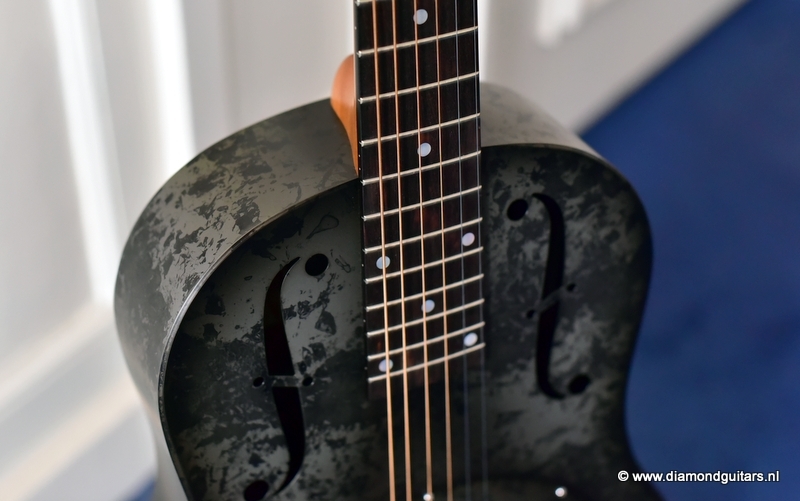 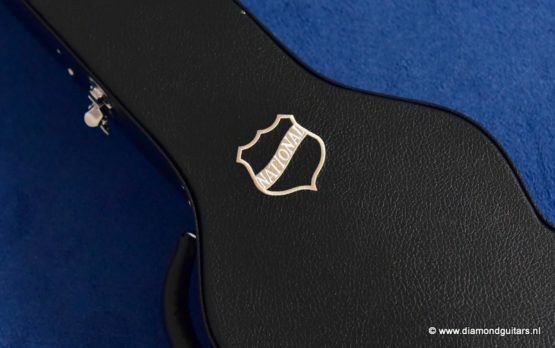 Capturing the look and feel of an original 12 fret National Duolian, the thin-gauge steel body is highlighted by stamped “f” holes, a formed back, and period-correct, traditional ribbed coverplate. 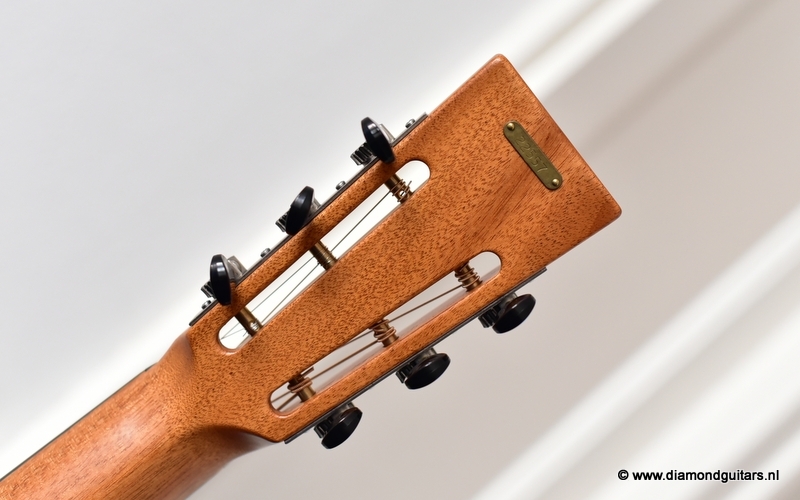 Each mahogany neck clears 12 frets to the body and features an unbound ebony fretboard complete with mother of pearl position markers. 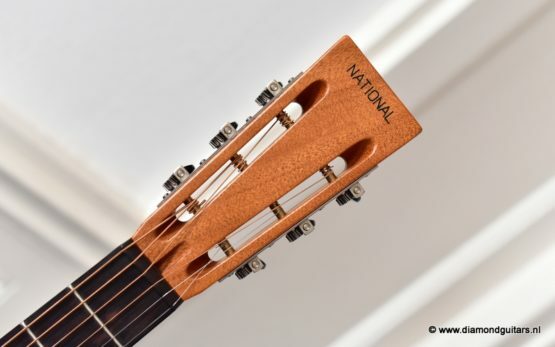 Vintage style plain tuners, ebony nut, and “National” stamped headstock complete the look of this classic. 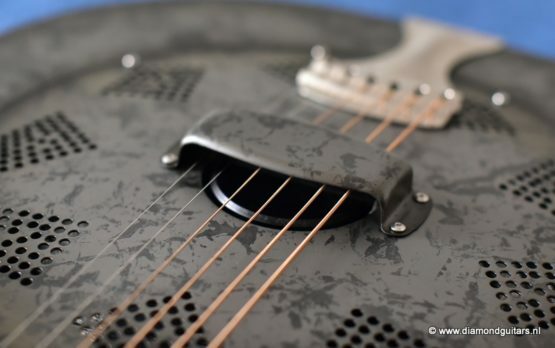 Dead MINT condition!